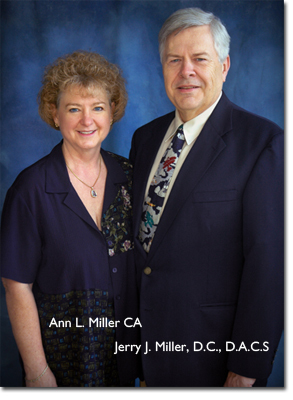 I'm Dr. Jerry Miller and I have been providing chiropractic care for the Vancouver community for over 20 years. I use a personal, hands-on approach and the latest technology to treat the cause of your pain -- not just the symptoms -- so you can feel your best. I completed my undergraduate studies at WSU in the Pharmacy program and graduated from Western States Chiropractic College in 1988. I attained Diplomate status in Applied Chiropractic Science, DACS, in 2000, which is a chiropractor's version of a masters degree. I am also a Certified Instrument Adjuster, CIA. I have also recently completed the Certified Chiropractic Sports Phsyician (CCSP). I have served on the National Board of Chiropractic Examiners, and served on the State of Washington Chiropractic Quality Assurance Commission from 2000 to 2007, which is the chiropractic governing body for the State of Washington.